DONATE FOR A CHANCE TO WIN A CATERED LU’AU! Support clean drinking water and sanitation for an Elementary School on Arno Atoll, Marshall Islands! 1st Prize: A Fully Catered Lu’au at your house for 20 people! 3rd Prize: A Living Islands Puralytics SolarBag + Movie Tickets for two! Our mission needs your help. Living Islands is a 501(c)3 registered non-political, non-religious not-for-profit organization of volunteers committed to creating self-sufficient Pacific Islands that will serve as an example to communities all around the world. Avoid donating to scammers and con-artists. Please verify that all your donations to Living Islands, and all other charities, go to organizations registered with GuideStar, and the IRS. Legal Name: Living Islands Non-Profit. Tax ID: 46-2626255. Be over 18 years of age by 1 January 2017. Not be a Bamboo Grove Hawaiian Grille staff or a Living Islands Volunteer. Have donated at least $20 to Living Islands Non-Profit during the raffle period. The prize consists of the following; First Prize is a Fully Catered Lu’au for 20 people at the winner’s private residence. The residence must be in the Portland, Oregon, greater metropolitan area and have a legal capacity to hold the final number of guests. 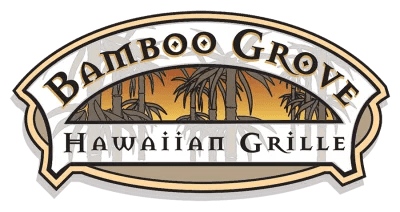 Second Prize is a Lunch or Dinner for two at Bamboo Grove Hawaiian Grille in Portland, OR, and Bamboo Grove Hawaiian Grille branded merchandise. The Third Prize is a Living Islands Puralytics SolarBag and Movie Tickets for two. The opening day for the raffle is August 1st, 2017. Those who respond by October 15, 2017, will be entered into a draw to be in with a chance to win one of the three prizes. Each winner will be contacted by the email used for the donation by the October 1st, 2017. Closing date for entering the draw is October 15, 2017. The winner will be drawn by an independent person on October 23, 2017. The promoter’s decision is final and no correspondence will be entered into. The winner will be notified within 20 working days of the closing date either by email or phone. The winner’s name will be announced on the Living Islands website. Full address details will not be disclosed. In the event that we cannot contact the winner within 28 days after the draw, the prize will be awarded to a new winner. If the writing is illegible on a physical donation slip, or no contact details are given, a new winner will be selected on the day of the draw. The prizes are non-transferable and only consist of what has been listed above. By entering the draw, winners confirm their agreement to take part in any associated publicity. Bamboo Grove Hawaiian Grille and Living Islands respects, and is committed to protecting your privacy. The personal information you provide will remain private and will only be used for the purposes outlined here. Bamboo Grove Hawaiian Grille and Living Islands reserves the right to amend, withdraw or terminate the raffle or alter the raffle at any time without prior notice.